I should make one thing clear from the start. 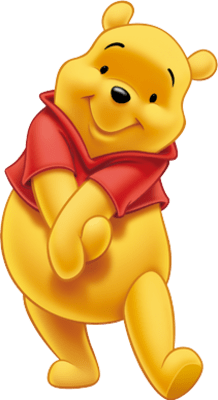 When I use the word “pooh” I am not speaking of the cuddly bear that we all know and love from the childhood stories created by A. A. Milne, and later popularized in animated form by Walt Disney. No, rather than using the harsh sounding “poop” common in the American vernacular, I am using that gentler form of the word as expressed by my English friends. Poop is what Americans find in their children’s dirty diapers, pooh, on the other hand, is what the English find in their children’s dirty nappies. Although it may be an unpleasant subject to dwell on, pooh provides a good introduction and analogy for this installment of Violence in the Old Testament. 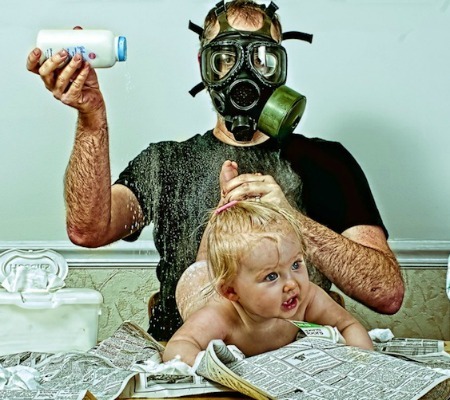 As a father, I could theoretically choose to never change a dirty nappy (diaper). I could let my young child go through its early life laying in the mess that it created. Of course, this would certainly raise objections by others, but first and foremost, it would suggest that I am not a very loving or caring father. On the other hand, as a loving father I would certainly choose to change my child’s nappy no matter how often he filled it with pooh. Neither the frequency nor the quantity would prevent me from performing the loving duty of a father. Furthermore, even though I didn’t make the pooh, and am in no way responsible for its production, yet I would still choose to remove it. Part of the hazards of the removal process may mean that I end up smelling like pooh, and even get some on me. This might cause people to misjudge me. Perhaps they will think I stink, or perhaps they will spot some pooh on me and assert that I am a filthy, unwashed, walking lump of bacteria. Nevertheless, as a loving father, I will persist in removing the pooh. Although this analogy may have its limitations, and I hope that I will not be considered irreverent in using it, it is a somewhat light-hearted way of introducing a very serious topic. If we draw parallels to the story above, then God is the loving father and the pooh is sin. Just as a father chooses to change a dirty diaper, so God has chosen, in His love, to deal with our sin. God didn’t make the sin, nor is He responsible for its presence in our world, but He has chosen to deal with it and remove it. As a result, God takes the chance of smelling like sin, and even getting sin on Himself. Consequently, people may misjudge God and attribute things to Him that are not actually true. Allow me to explain how this analogy reveals an important biblical truth about God and sin. Let me begin by noting that the story of the Bible presents a certain view of history. 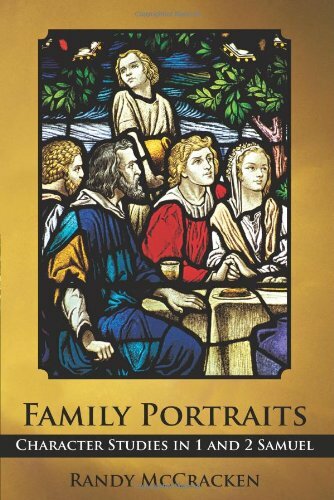 The story is all about God acting in history to bring salvation to a world lost in sin. German theologians have coined a certain phrase to express this idea: Heilsgeschichte, which simply means “salvation history.” Although God can and does work in miraculous ways through nature, according to the Bible, He has also chosen to work in and through human beings who are sinful and imperfect in order to save them. Therefore, if God is going to do anything in this world, He is going to do it in the context of a sinful environment. One of humankind’s worse sins is War. War is a great evil and war, bloodshed, and enmity between people are all a result of sin. “War appears to be an ever present reality of historical existence, both ancient and modern” (Peter Craigie, The Problem of War in the Old Testament, p. 43). Therefore, if God is going to work in human history, then He must stand in some kind of relationship to war. As an example, let’s look at World War II. For many years while Hitler took control of Europe, consigned Jews to concentration camps, and bombed Britain, America stayed neutral and did not enter the war. Many Europeans thought that it was immoral for America to allow Hitler to commit the atrocities he did without taking a stand against him. Following the bombing of Pearl Harbor, American finally joined the war effort against Nazi Germany and Japan and together the allied forces defeated tyranny. Someone standing aloof from history could make the judgment that it was immoral of America to idly stand by, as some Europeans did. On the other hand, another person might argue that war is always wrong and it was, therefore, immoral for America to enter the war. Atheists use similar arguments against God. God can be accused of letting people and nations get away with the worst crimes. What a terrible God who allows evil to run rampant in our world. However, as soon as God is pictured in the Scripture as a Warrior, He is accused by these same atheists of being a moral monster! 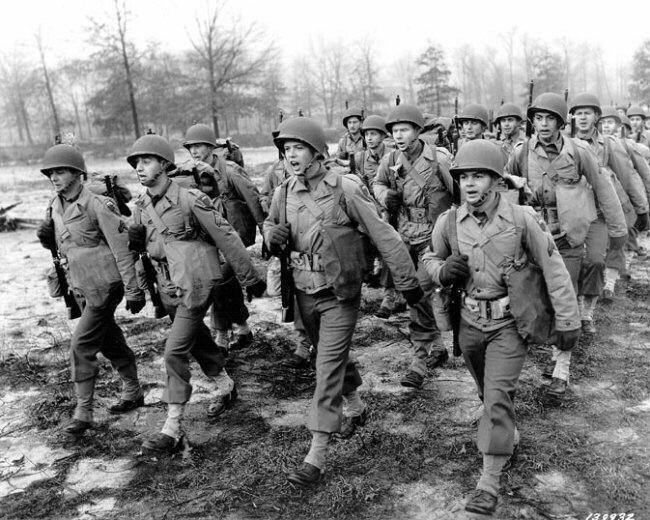 The point is simple: God can no more idly stand by than America could during World War II. War is a fact of our existence; a terrible fact, yes, but anyone who gets involved in our world will not be untainted by it. Craigie therefore concludes: “We perceive, though not always clearly, that war is a form of evil human activity in which God participates actively for the purposes of both redemption and judgment; in this participation, God is the Warrior” (The Problem of War in the OT, p. 43). The fact is, God’s participation in war makes God look bad. It can even make God look morally bankrupt, but God is willing to take that chance in order to save sinful human beings. Greg Boyd puts it this way: “God in his love, appears as ugly as our ugly hearts require him to be, and as beautiful as our redeemed hearts allow him to be” (Greg Boyd “How Do You Reconcile the wrath of God in the Old Testament with a Loving God?” http://www.youtube.com/watch?v=b5CkCGR9YI4). This same idea is asserted in Scripture. In 2 Samuel 22:26-27 (which parallels Ps. 18:25-26) David states, “With the merciful You will show Yourself merciful; with the blameless man You will show Yourself blameless; with the pure You will show Yourself pure; and with the devious You will show Yourself shrewd” (NKJV). A lot depends on one’s point of view! Boyd illustrates the above idea by referencing the movie “Nanny McPhee.” In the movie, a young father (Colin Firth), following the death of his wife, is at his wits end in dealing with his seven rebellious children. Nanny McPhee arrives in order to instill obedience and respect for authority. When the children first meet her she is the ugliest old hag imaginable. However, as the children learn respect and obedience, Nanny McPhee’s ugly features begin to disappear, until, by the end of the movie, she morphs into the lovely Emma Thompson! 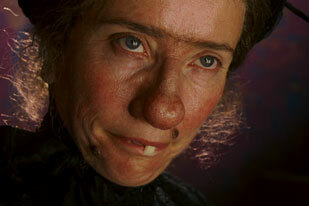 The point is that Nanny McPhee was never ugly, she was only perceived that way by the rebellious children. When the children have their, shall we call it “sin,” dealt with, they see Nanny McPhee for the beautiful, loving person she really is. War, and other sin, can make God look pretty ugly because of His choice to participate in our world. This idea has Scriptural precedent. Isaiah says the following about the suffering servant: “He has no form or comeliness; and when we see Him, there is no beauty that we should desire Him. He is despised and rejected by men…Surely He has borne our griefs and carried our sorrows; Yet we esteemed Him stricken, smitten by God, and afflicted. But He was wounded for our transgressions, He was bruised for our iniquities; the chastisement for our peace was upon Him…and the Lord has laid on Him the iniquity of us all” (Isa. 53:2-6). The apostle Paul writes: “For He made Him who knew no sin to be sin for us, that we might become the righteousness of God in Him” (2 Cor. 5:21). Indeed, these Scriptures affirm, that like the loving father who is willing to smell like pooh and even get some on him, our Savior was willing to take on our sin. It made Him look unattractive, it even caused people to misjudge Him, according to Isaiah, but He did it for love’s sake. It was our mess, but He took responsibility for cleaning it up. Once we realize the tremendous love expressed through Christ’s death on the cross, just like Nanny McPhee, He no longer appears unattractive and revolting, but He becomes the most beautiful Being in all of Creation. It depends on our point of view. The atheists see an ugly God because their vision is clouded by their own rebellion, but if they were to submit to His cleansing power, their vision would be transformed and they would see the Lord in all of His beauty (Ps. 27:4). Thanks so much, Randy. Your illustration and explanation have been very helpful. Having raised three children, I am well acquainted with both poohs, the one occasioning tenderness of heart and the other engendering violence to the nostrils. And yes, when facing a stink, one must do what one must do to clean up the mess – and it ain’t always pretty. Thanks again for your insights.